The Kurdish outlet Rudaw reports that Turkey has implicated Muslim in a February 2016 bombing in Ankara perpetrated by a Kurdish terrorist group, the Marxist Kurdistan Freedom Hawks (TAK). 28 people died in that bombing. The Turkish government has issued another 47 warrants in relation to the bombing in addition to Muslim’s. The government’s announcement, published through state outlet Anadolu Agency, tied the bombing to the Kurdistan Workers’ Party (PKK), a Marxist, U.S.-designated terrorist organization. It remains uncertain whether TAK is a division of the PKK or whether TAK’s founders were former PKK terrorists disenchanted with the PKK leadership’s calls for peaceful negotiations with Ankara. American officials have referred to TAK as an “urban terrorist wing” of the PKK, which is also active in the desert areas of Syria and Iraq, particularly against the Islamic State terrorist group. Muslim’s group is a separatist political entity in Rojava, or Syrian Kurdistan. The PYD and its militias operate separately from the PKK, though they are ideologically aligned with the group, despite Washington’s rejection of the PKK. YPG and YPJ militias have helped American fighter jets target Islamic State positions in Syria. While the PYD has long called for Syrian dictator Bashar al-Assad to step aside and allow the nation to choose a new leader, the group became increasingly vocal against removing Assad before the Islamic State was completely vanquished, warning that ISIS could easily exploit such a power vacuum. Muslim has personally denied any involvement in the Ankara bombing. “These accusations are clearly related to Turkish attempts to intervene in Syria,” he said in February, shortly following the attack. Secretary of Defense Ashton Carter has confirmed that the United States has evidence linking the PYD to the PKK, however. American officials have publicly dissuaded Muslim’s group from affiliating with the PKK. 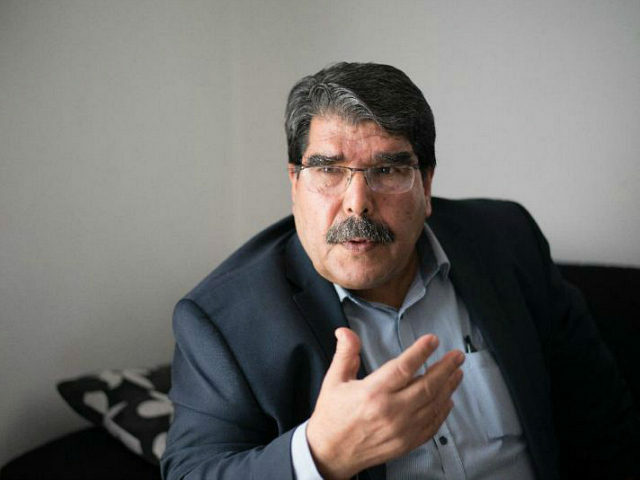 The warnings have done little to dissuade the PYD from cooperating with Americans or even welcoming independent American fighters into their group. PYD supporters even established Facebook groups last year to help Americans, particularly U.S. veterans seeking to fight the Islamic State independent of their government, find the YPG and YPJ militias, and fund their trips to Kurdistan. Many Americans, Canadians, and other Westerners used online crowdfunding to pay their voyages to Syria. Even official American troops on the ground have expressed solidarity with the PYD, so much so that the Pentagon had to issue a new directive in May banning Green Berets from wearing YPG insignia on their uniforms under their American flags, in an attempt to curb Turkish outrage. The Syrian Kurdish militias have a tense relationship with their Iraqi counterparts, the Peshmerga. The Peshmerga have actively dissuaded individual Western volunteers from joining them, derisively referring them to less “professional” militias like the YPG. The Kurdistan Regional Government (KRG) of Iraq, the political organization of the Peshmerga, has demanded the YPG stay out of Iraq and backed Turkey in its objections to PKK violence. Muslim has reached out to the KRG, however, hoping the two militias could cooperate against the Islamic State.